​Salt is a wonderful thing. Not only does it give our food taste and flavor – it also can work wonders for your health when used properly, as we’ve discussed in the past. Himalayan pink salt is one of the purest salts you can buy. ​ ​Not only does it taste arguably even more wonderful than traditional salt – it does everything from balancing pH to strengthening bones and lowering blood pressure. You don’t even need to eat the salt to reap the benefits; simply having it around you can be helpful in treating things like allergies, insomnia and migraines. That doesn’t mean you have to sprinkle the salt around your home, by the way – there’s a much more gorgeous solution, in the form of a lamp. 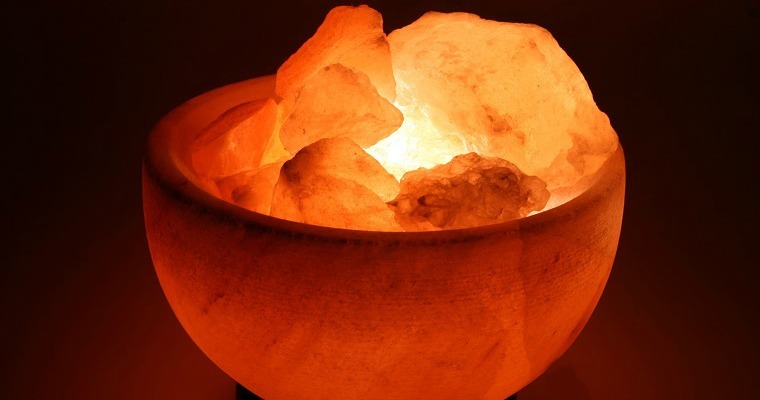 Rahi confirms that placing salt lamps around your home can work wonders to reduce the amount of unhealthy positive ions in your home. Other sources have raved about the lamps as well, claiming that they increase energy levels and concentration, making them something you just might want to keep around the office or bedroom. But aside from the benefits they provide you, Himalayan salt lamps are also speculated to be an environmentally friendly source of light. Some lamps are lit by candles, while others use low wattage light bulbs. The means through which the lamps are constructed are quite green as well, with the reserves that Himalayan pink salt comes from estimated to last another 350 years at the current rate of mining. So instead of heading to your nearest department store for a conventional lamp, why not take a look around the web for a salt lamp?